Flood benches are great for helping to control irrigation and fertilization costs. 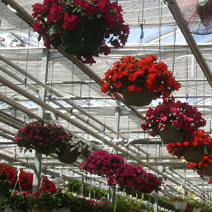 By re-circulating water, fertilizer not used by the plants is available for the next cycle. It’s environmentally friendly. Also, flood benches help lower disease by keeping leaves dry. GGS produces ebb and flood benches with either aluminum trays or plastic liners depending on the crop and the grower’s preferences. Hot dipped galvanized adjustable stands enable you to install your flood benches with the perfect pitch for quickly draining irrigation water away from the plants. 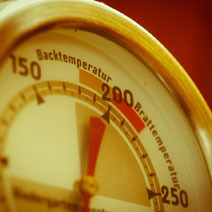 Your pots never need to sit in water longer than you want. 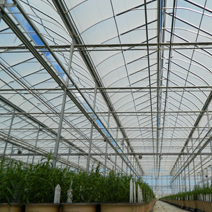 These tops offer the advantage of lower costs and greater flexibility for crop variety. Ideal for garden centers as well as growers, the mitered corners on GGS sides won’t snag your employees’ or customers clothing. Like all GGS benches, our steel stands are hot dipped galvanized after manufacturing to ensure optimum protection against corrosion. Troughs, like flood benches are ideal for bottom watering your pots. Troughs are rolled out on site so each trough is a continuous piece the length of your bench. 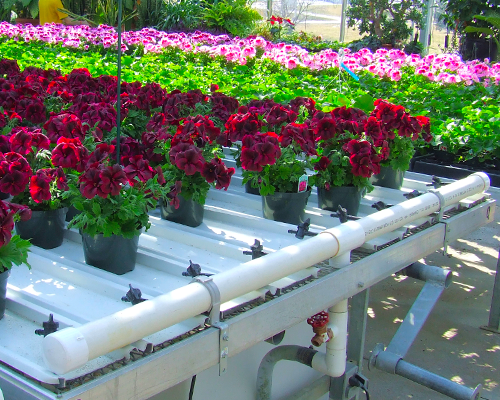 GGS adjustable stands enable growers to slope the trough from one end of the bench to the other so water flows continuously under your pots. While troughs reduce your flexibility in adjusting pot sizes, the gap between each irrigation trough improves vertical air flow and helps dry the crop evenly. 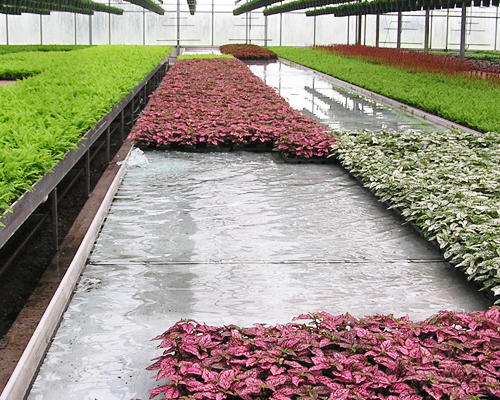 Irrigation troughs like flood benches allow a grower to reduce fertilizer consumption by re-circulating water. The main advantage of rolling benches is the ability to gain additional production space by eliminating walkways. 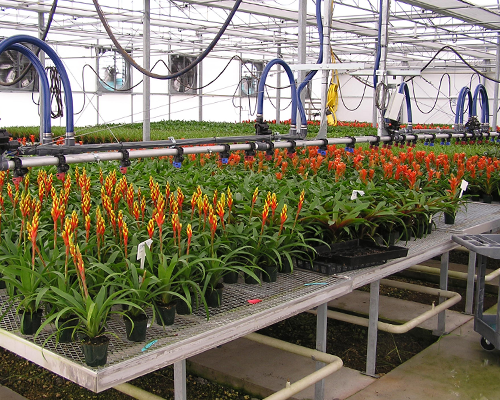 In a typical production greenhouse bench layout, rolling benches will give you 24% – 33% more production space, in some greenhouses they may even allow as much as 50% more production space. Rolling benches roll on 2 inch diameter roll tubes, the diameter ensures a smooth roll for long benches. GGS has provided customers with benches in excess of 200 feet long. A lot of stationary benches we see tend to be wooden although initially they may be less expensive the long term cost maintaining them costs more. Wooden benches are also harder to disinfect. Even if your stationary benches are metal you loose the flexibility that rolling benches offer, loosing valuable crop space that could be more profit and increased labor costs. 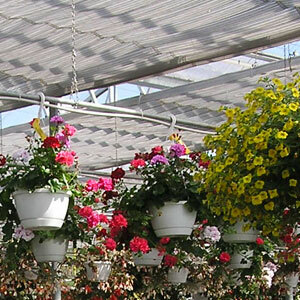 Garden centers require something different from their benches. 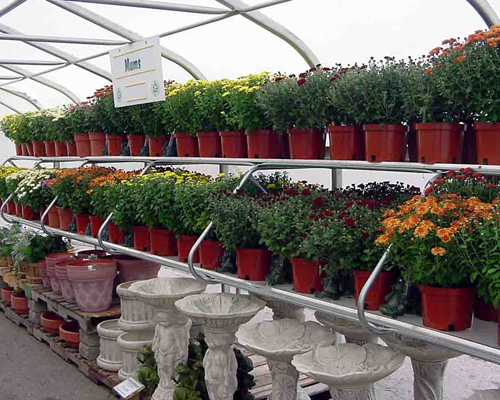 Benches should add to the style of a garden center as well as provide accessible storage and display of your plants. Multi-tiered benches are perfect for displaying plants, and they can be designed to be freestanding, or we can build them to attach to the greenhouse walls. 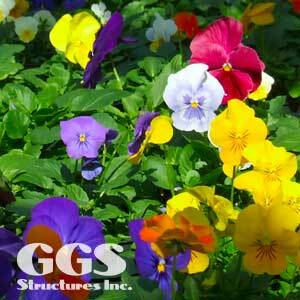 Whatever your benching needs, GGS is here to help growers grow!